When I was young, our family took a vacation almost every year to Valley City, North Dakota, where one of my sets of grandparents lived. Sometimes we would drive into the countryside, not for North Dakota bird watching, but to visit other friends and relatives. Little did I know back then that North Dakota really does have an abundance of birds. Part of the state is on the Central Flyway, meaning many birds migrate yearly through the area. Here are some of the more popular North Dakota birding hotspots that you should take time to visit whenever you’re in the Flickertail State. Located in Devils Lake, here you can find more than 260 bird species including a wide variety of waterfowl, shore and marsh birds. Specific species to seek are Wood Duck, Hooded Merganser, Sharp-tailed Grouse, Double-crested Cormorant, American White Pelican, Black-crowned Night-Heron, Yellow-bellied Sapsucker, Pileated Woodpecker, Yellow-throated Vireo, Ovenbird, Black-and-white Warbler, American Redstart, Yellow Warbler, Clay-colored Sparrow, Eastern Towhee, Rose-breasted Grosbeak, and Baltimore Oriole. Near Medora, this national park is known to have 186 observed species and even more suspected kinds of birds. Look for Sharp-tailed Grouse, Golden Eagle, Northern Harrier, Upland Sandpiper, Black-billed Cuckoo, Burrowing Owl, Red-headed Woodpecker, Prairie Falcon, Say’s Phoebe, Black-billed Magpie, Rock Wren, Eastern Bluebird, Mountain Bluebird, Sprague’s Pipit, Ovenbird, Black-and-white Warbler, American Redstart, Yellow-breasted Chat, Grasshopper Sparrow, Spotted Towhee, Lazuli Bunting, Orchard Oriole, Bullock’s Oriole, and Baltimore Oriole. In the Turtle Mountains (didn’t know North Dakota had mountains, did you? ), look for the red-necked grebe, white pelican, common loon, herons, red-eyed vireo, Philadelphia vireo, and various hawks and grouse. 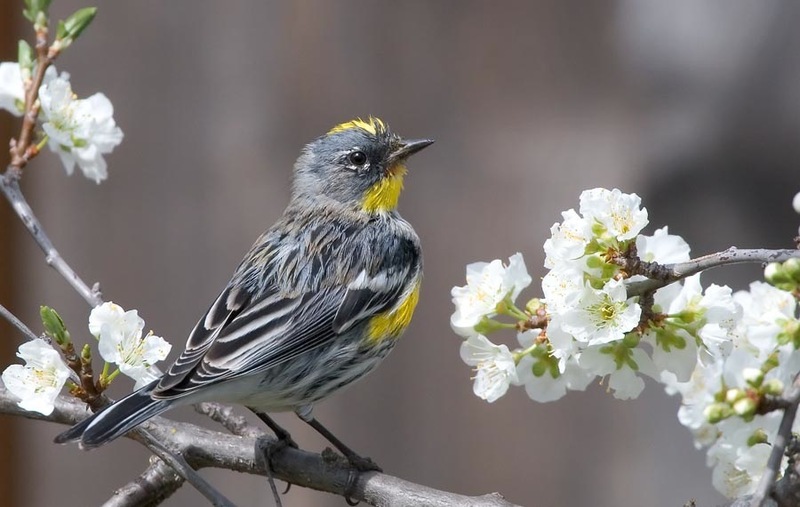 Visit Lostwood near Kenmare to see Baird’s sparrow and many other waterfowl and songbirds. You should be able to see nesting ducks, Pied-billed Grebe, Horned Grebe, Eared Grebe, American White Pelican, American Bittern, Sora, American Avocet, Piping Plover, Willet, Wilson’s Phalarope, Franklin’s Gull, Black Tern, and Nelson’s Sparrow. On the prairie, you’ll note Northern Harrier, Upland Sandpiper, Marbled Godwit, Short-eared Owl, Say’s Phoebe, Sprague’s Pipit, Chestnut-collared Longspur, Grasshopper Sparrow, Baird’s Sparrow, Le Conte’s Sparrow, Clay-colored Sparrow, Vesper Sparrow, Bobolink, Yellow-headed Blackbird, Brewer’s Blackbird, and Sharp-tailed grouse. Head to Moffit for puddle ducks, upland plovers, marbled godwits, willets, and sharp-tailed grouse, among the 200+ species known in the area. Sandhill Cranes stop here on their way south. As many as 20,000 shorebirds visit in migration, including the Piping Plover. Also discover the Western Grebe, Clark’s Grebe, American Bittern, Black-crowned Night-Heron, Virginia Rail, Sora, Franklin’s Gull, Ring-billed Gull, Black Tern, Common Tern, Forster’s Tern, Sedge Wren, Marsh Wren, Yellow-headed Blackbird, Sharp-tailed Grouse, Northern Harrier, Upland Sandpiper, Grasshopper Sparrow, and Bobolink. Bitterns, terns, and blue herons are just a few birds you’ll discover near Arvilla. Look here! You can find Sprague’s pipits, Baird’s sparrow, Le Conte’s sparrow, grebe, pelicans, tundra swans, grouse, and cranes. Souris Loop NWR is really over 100,000 acres of land including the J. Clark Salyer, Upper Souris, and Des Lacs NWRs. In the J. Clark Salyer NWR (and probably the other areas too), find Sharp-tailed Grouse, Eared Grebe, Western Grebe, American Bittern, White-faced Ibis, Northern Harrier, Virginia’s Rail, Sora, American Avocet, Wilson’s Phalarope, Franklin’s Gull, Black Tern, Forster’s Tern, Sedge Wren, Marsh Wren, Nelson’s Sparrow, Rose-breasted Grosbeak, Yellow-headed Blackbird, Orchard Oriole, Upland Sandpiper, Marbled Godwit, Sprague’s Pipit, Chestnut-collared Longspur, Grasshopper Sparrow, Baird’s Sparrow, and Clay-colored Sparrow. Find 239 different birds near Coleharbor. 95 of them nest in this area. Get your binoculars or spotting scope out for 149 birds close to Center. You want the greater prairie chicken? No problem finding one in this 70,000 acre grassland near Lisbon, since the largest population of this bird is located here. Seek and you will find the Sharp-tailed Grouse, Northern Harrier, Upland Sandpiper, Marbled Godwit, Grasshopper Sparrow, Le Conte’s Sparrow, Dickcissel, Bobolink, American Woodcock, Black-billed Cuckoo, Pileated Woodpecker, Yellow-throated Vireo, Ovenbird, Black-and-white Warbler, Scarlet Tanager, Rose-breasted Grosbeak, Orchard Oriole, and Baltimore Oriole. On the Wild Rice River near Cayuga, check out the migrating birds in this section of the Central Flyway. Head out to Pingree for the 266 bird species found in this NWR. This is one the best places in the state to see Sharp-tailed Grouse. Geese, Tundra Swans, and ducks such as Gadwall, Blue-winged Teal, Northern Pintail, and Hooded Merganser, as well as Eared Grebe, Western Grebe, American White Pelican, Northern Harrier, Bald Eagle, American Avocet, Piping Plover, Upland Sandpiper, Marbled Godwit, Wilson’s Phalarope, Black Tern, Horned Lark, Yellow-headed Blackbird, and Bobolink inhabit the area. In marshy areas, search for American Bittern, Sora, Sedge Wren, Marsh Wren, and Nelson’s Sparrow. Find Cavalier on your map and visit the nearby state park and nature preserve for an abundance of North Dakota birds. You can hear the Ruffed Grouse and the Veery, along with the Pileated Woodpecker. Others to look for are the Ruby-throated Hummingbird, Yellow-bellied Sapsucker, Eastern Wood-pewee, Eastern Phoebe, Great Crested Flycatcher, Yellow-throated Vireo, Northern Waterthrush, Black-and-white Warbler, Scarlet Tanager, Rose-breasted Grosbeak, and Purple Finch. This relatively small park near Lisbon has a wide variety of habitats and therefore a corresponding variety of birds to look for. Near Stanton you can find a pleasing assortment of raptors, shorebirds, warblers, waterfowl, and thrushes. The Burning Coal Vein Site close to Amidon is the place for Audubon’s warbler, turkeys, chickadees, nuthatches, and poorwills. This NWR has the largest white pelican population on the continent. It contains between 10,000 and 12,000 of the birds. You’ll also discover the piping plover, Baird’s sparrow, and Sprague’s pipit. I love the name of this site – Hawk’s Nest Ridge. There better be some hawks near Carrington. You can also find the shrp-tailed grouse, gray partridge, and pheasants. Head east to Grand Forks for mallards, pintails, Canada geese, wood ducks, great blue herons, American bitterns, and American avocets. 12 species of ducks nest here, with Mallard and Gadwall being the most common. Other ducks include the Canvasback, Redhead, and Hooded Merganser. See the Eared Grebe, American White Pelican, Sora, American Avocet, Wilson’s Phalarope, Franklin’s Gull, Sharp-tailed Grouse, Greater Prairie-Chicken, Bald Eagle, Marbled Godwit, Willow Flycatcher, Least Flycatcher, Le Conte’s Sparrow, Nelson’s Sparrow, and Bobolink. Here, near Wallhalla, is a warblers paradise. 14 breeding warblers are in the area. Also look for ruffed grouse, wild turkeys, and 75 more species of breeding birds. Near Garrison Dam in western North Dakota, see gulls including the Ring-billed, Herring, Black-legged Kittiwake, Sabine’s, Bonaparte’s, Mew, California, Thayer’s, Iceland, and Glaucous. Dabbling and diving ducks can be common here too. See if you can locate the American White Pelican, Bald Eagle, Franklin’s Gull, Caspian Tern, Common Tern, and Forster’s Tern. Here is an alphabetic checklist of the birds of North Dakota. If enough visitors are interested, I can create a more user friendly document from this list. Until such interest is shown, what you see below will have to suffice. Share this article with your friends using the icons below. Get a group of those friends together to visit one of the many great birding hot spots in North Dakota soon.